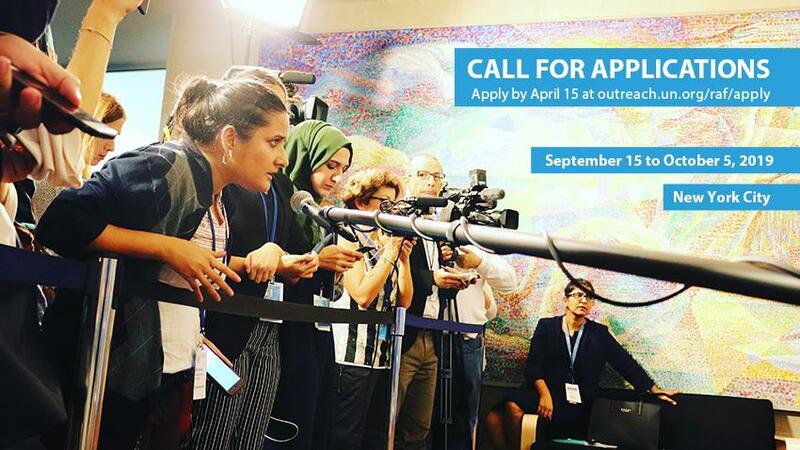 Applications are open for the United Nations Reham Al-Farra Memorial Journalism Fellowship 2019. The Reham Al-Farra Memorial Journalism Fellowship is a unique opportunity for young, working journalists from developing countries and countries with economies in transition to cover the United Nations. Hosted every fall at UN Headquarters, the programme brings a select group of journalists to New York to cover the opening of the General Assembly for their news outlets. During the 3-week programme, fellows have an opportunity to attend special briefings, interview senior officials and exchange ideas with colleagues from around the world. In previous years, fellows have met with the UN Secretary-General, President of the General Assembly and permanent representatives to the United Nations. The programme also arranges visits to various news organizations, such as the New York Times, Democracy Now! and WNYC radio. The 2019 Reham Al-Farra Memorial Journalism Fellowship will take place at United Nations Headquarters in New York from September 15 to October 5, 2019. For more information, visit UNRAF.